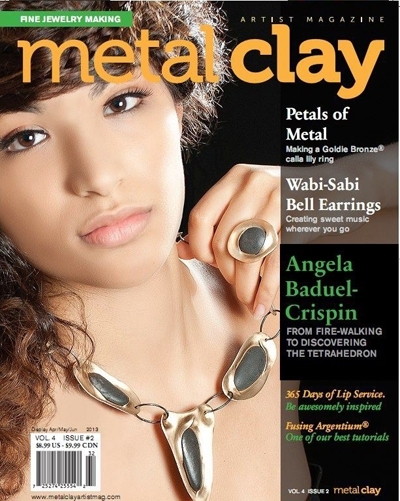 I'm a little behind on plugging my recent tutorial that appears in the latest issue of Metal Clay Artist Magazine. The cover of the magazine calls it "One of our best tutorials," which certainly makes a writer proud. 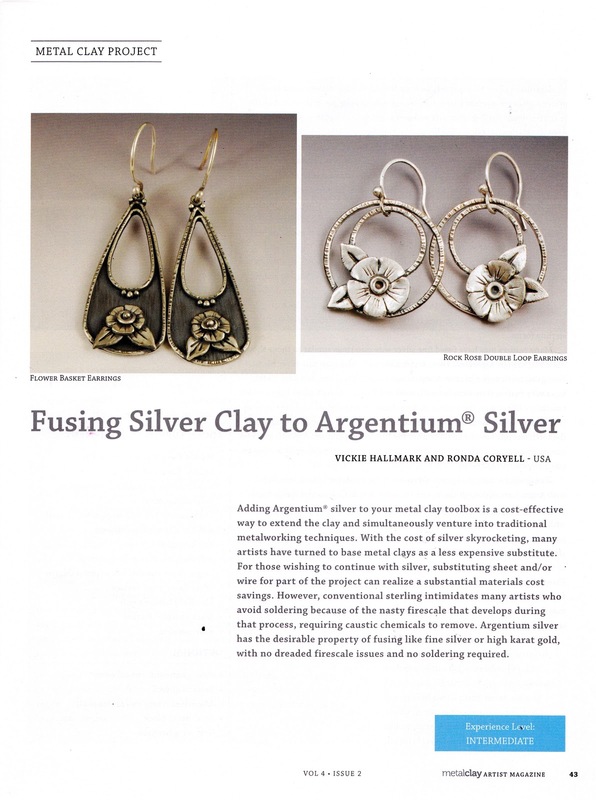 The article discusses the desirable properties of Argentium silver: easy firing, lack of firescale, tarnish resistance, and heat hardening. But beyond that, I show how to easily fuse Argentium to itself and to metal clay components. If you've ever fused fine silver, you know there's a bit of finesse involved. Argentium is much, much easier to work with. Combined with metal clay, it's a cost effective way to extend your expensive and precious clay and to creep slowly into the world of conventional fabrication by learning skills for handling wire and sheet.